Wayanad is one of those less explored havens that will leave you drop your jaw with its splendid beauty and charm. It is reported to have been popular by the name Mayakshetra in the past history. It has a large number of notable places to visit and is an absolute delight to be in owing to its lofty mountains and lush greenery. Depending upon your trip preferences as well as schedule, you can customise your Wayanad tour packages to suit your requirements. First and foremost, if you are a devotee or a spiritually inclined person, you must visit Thirunelli which is a really ancient temple devoted to the hindu God Shiva. Located on the sides of Brahmagiri hill, it lies in north Wayanad in a gorgeous valley surrounded by lush green forests and hills. There also exist the ruins of two ancient villages in the dense forests surrounding the temple premises. This temple has got its name from the word “nelli”, which means Indian gooseberry or Amla in Tamil/Malayalam. One of the most interesting places near this temple is the Panchatheertham, which is a holy pond. If you are a nature lover, go to Wayanad Wildlife Sanctuary. It lies conveniently on the way from Mysore to Sultan Bathery and is an animal sanctuary. You can see a lot of rare animals and plants here. This sanctuary is the second largest wildlife sanctuary of Kerala and is full of dense jungles and rich flora and fauna. Locals also call it as the Muthanga Wildlife Sanctuary and it was formed in the year 1973. Indian bison, tigers, panthers and elephants are a common sight here, just as is the Peafowl. If you have kids with you, it can be a great learning experience provided they are under strict supervision due to the present of wild animals. Mananthavady is a town of Wayanad located on the banks of a tributary of the Kabini river, namely Mananthavady Puzha. The town still has notable remnants of the colonial times, namely barracks, rest houses and clubs. If you and your partner are visiting Wayanad together, you both should head for a romantic visit to Vythili. It has a pleasant climate and is gaining steady popularity among tourists and visitors owing to its natural beauty. It has a rich history for which you can get in touch with some local guide or just strike a conversation with the locals. Moreover the area is surrounded by a large number of budget hotels in Wayanad that offer utmost hospitality. So whether you are an adventure seeker or a history buff or just a simple leisure traveller looking for a relaxing trip, Wayanad is an amazing place to be in with your friends and family. 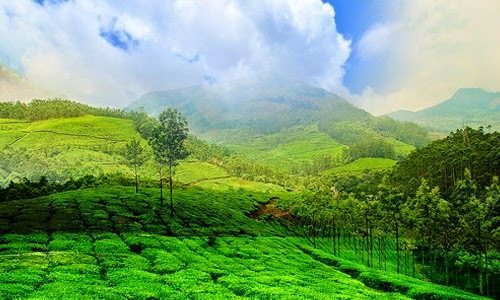 Pack your bags soon and head to Wayanad and let yourself get immersed ni its rich history and natural beauty. You are going to love it and it will surely make you want to come back again very soon. Have a happy vacation ahead! Dimpy Roy is a travel writer working with an Online Travel Guide. She helps travelers to find the best Wayanad holiday packages for a memorable vacations.